Jeff Bezos has big plans for the moon, if he can just get there. With a little elbow grease our trusty satellite could become a platform from which to build out the space industry — and while a partnership with NASA, the ESA and others would be best, Blue Origin will do it solo if it has to. Speaking at the Space Development Conference in Los Angeles with the inimitable Alan Boyle, Bezos chatted about the idea of making the moon a center for heavy industry, which he thinks will help conserve resources here on Earth. There’s plenty that Earth will still have to provide — minerals and resources that can’t be sourced from the moon — but in other ways a lunar manufacturing base is a no-brainer, he explained. There’s sunlight 24/7 for solar cells, water sequestered beneath the surface, and plenty of lovely regolith to build with (just don’t breath in the dust). “It’s almost like somebody set this up for us,” he said. Bezos has already proposed a public-private partnership between Blue Origin and NASA to create a moon lander to test the possibilities of lunar manufacturing and habitation. It would be capable of delivering five tons of payload to the moon’s surface, more than enough to get some serious work done there. That’s all still highly speculative, of course, and the rockets produced by the company are all still strictly suborbital. 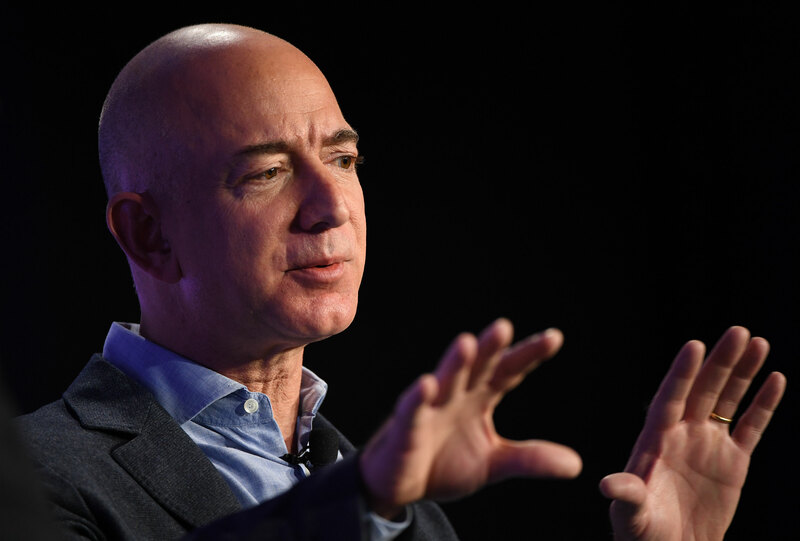 New Glenn, the orbital successor to the smaller-scale New Shepard, is scheduled to fly in the 2020s, but clearly Bezos sees no reason to wait until then to start working on what it may eventually bring to the moon. When the time comes, he hopes that lunar residence and industry will be a shared privilege, with countries working together in a “lunar village” and combining their strengths rather than testing them against one another. In the meantime he’s funding Blue Origin with his own money to pursue these lofty ambitions. And he’ll keep going, he said, until someone else picks up the ball or he goes broke — and he and Alan agreed that the latter seems unlikely.